With spring quickly approaching, there is going to be a growing number of people outside trying out their green thumb. Raising things from flowers to vegetables, the season for a growing amount of greenery in the Erie area is just about here. While Gannon University in its urban environment may not seem like a place you would see an overwhelming amount of fresh greenery, the campus is home to its very own garden. Hidden away next to West Hall, Gannon’s Goodwill Garden will once again begin a fresh growing season. The garden began in the summer of 2010. At its birth, the garden was a small plot on the 200 block of West Fourth Street. That year, the garden produced five bushels of tomatoes, peppers and squash, all of which were donated to emergency food pantries in area churches. For the next two years, the garden would remain small, until a group of students returned from an ABST in the spring of 2012 with fresh inspiration. The students, who had spent a week learning about urban farming at Earthworks Urban farm in Detroit, were excited to incorporate into the Erie community what they had learned on their service trip. With this new energy being put into the garden, a decision was made to move it to its current location in the southern courtyard of West Hall. In its first growing year in its new location, the garden produced about 500 pounds of produce in six raised beds. The following year, 10 more beds, a composter and a rain barrel were added. With these additions, the garden produced 978 pounds of fresh produce, all of which was given back to the community. Presently, the garden also houses a flower garden and a beekeeping hive. Additionally, the garden hosts events that are open to the public including a trick-or-treat event for Halloween. 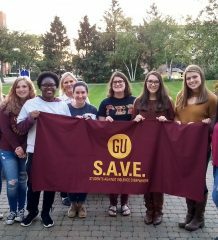 With every year, the garden continues to grow with the help of Gannon students, faculty and staff. 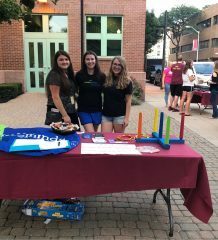 Along with growing food for the community, the Gannon Goodwill Garden provides a space for student learning and research as well as hosting educational workshops and special events. 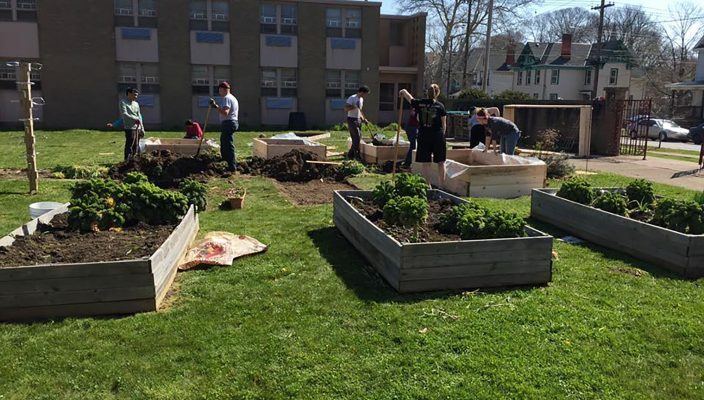 Students interested in getting involved with the garden can contact Derek Loesel at loesel002@gannon.edu.